The last time the Huskies won at Maples Pavilion was 30 years ago. Washington (8-9, 1-4 Pac-12) has lost 17 straight games at No. 6 Stanford (14-1, 4-0), which has an 18-game home winning streak. Time: 7 p.m. Friday, Maples Pavilion. Records: UW (8-9, 1-4): Stanford (14-1, 4-0). Scouting report: Washington split last week’s homestand, which included a 58-43 loss to Utah on Sunday and a 68-58 win over Colorado last Friday that snapped a five-game losing streak. … Stanford is off to its best start since the 2013-14 season when it advanced to the NCAA tournament Final Four. … The Cardinal has an 18-game winning streak at Maples Pavilion, which is the eighth longest active streak in the nation. … The Huskies are 17-48 all-time against Stanford and 3-23 in the past 26 games. … UW has lost 17 straight games at Stanford. The Huskies’ last win at Maples Pavilion was a 74-62 victory on Feb. 18, 1999. … Last season, Stanford cruised to a 71-45 win at home. 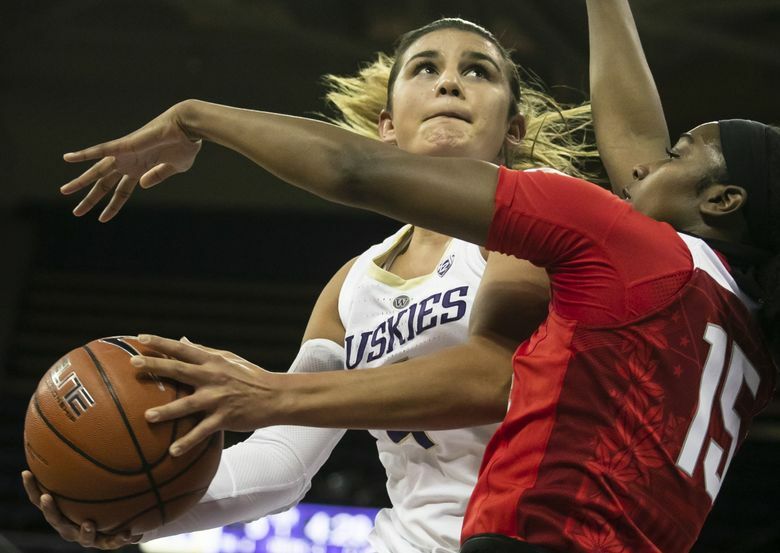 In the rematch in Seattle, Amber Melgoza scored a career-high 40 points and the Huskies nearly came away with the upset before falling 86-79. … Melgoza, a do-it-all dynamo, leads UW in points (18.9), assists (2.9), rebounds (5.0) and steals (1.6). … The Huskies are 8-0 when leading at halftime and 0-9 when trailing or tied at the break. Over the past two seasons, Washington is 0-28 when it’s not ahead at halftime. … Stanford’s Alanna Smith, a Pac-12 MVP candidate, captured the conference’s player of the week honors on Monday after averaging 22.5 points and 10.0 rebounds during a pair of wins last week against Arizona State (72-65) and Arizona (78-48). … Smith, a Melbourne, Australia native, is a force in the middle where she leads the Pac-12 with 2.4 blocks. … Smith is also a deadly on the perimeter where she’s hit 39 of 80 three-pointers. She ranks third in the conference in 3-point shooting percentage (48.8). … Stanford is 13th in the country, averaging 9.9 three-pointers per game and 10th in 3-point percentage, making 38.7 percent.